The word trinity is not in the Bible. The expression of the doctrine was developed over a long period and finalized only in the fourth century. Many Christians who want to be biblical have questioned the official church doctrine on the Godhead. The following collection of articles from a a Seventh day Adventist conference in Sydney emphasizes, however, that the concept of the trinity is thoroughly biblical. 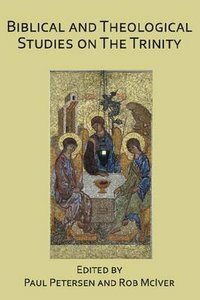 The book covers a variety of aspects of the discussion of the doctrine, both biblical, historical, and theological, such as the trinity in the gospel of John, the meaning of monegenes, Kellogg and the trinity, and Islam and the trinity. About "Biblical and Theological Studies on the Trinity"